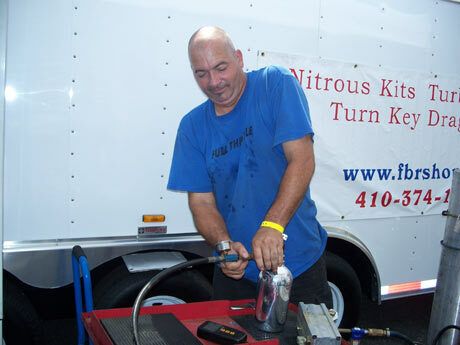 Marion Ford, owner of the famed FBR shop, dominated the competition at the first ever all-Atak race at the MIROCK FBR Shop Fall Nationals in Rockingham, NC. Ford’s success should come as little surprise, being that he is the creator and designer of the Hayabusa-motored, dragbike chassis, Atak bikes. Ford competed aboard one of his 2007 models and team rider Ken Lewis entered his 2004. Lewis also entered the machine in the 5.60 class and was No. 1 qualifier with a perfect 5.600. Ford got the best of Hamilton on the tree and carried it through for the win.